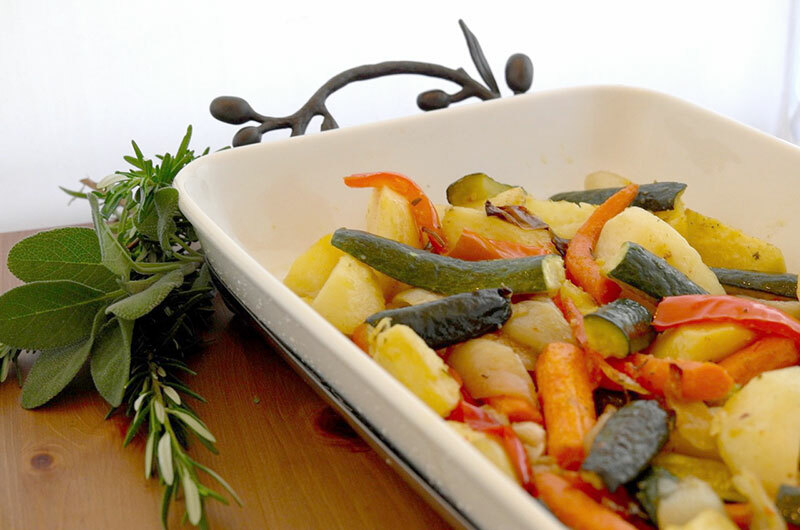 Vegetables roasted with olive oil bring forth new tastes, textures, and delicate sweetness. Often combined with rosemary and a little garlic, roasting with olive oil will add depth and richness to the final taste of vegetables . . . and, it’s so easy to do. Note: You can use vegetables (other than those listed as ingredients, like asparagus or fennel); just make sure whatever vegetables you use, you roast the root vegetables for about 30 minutes, before adding the faster cooking vegetables.